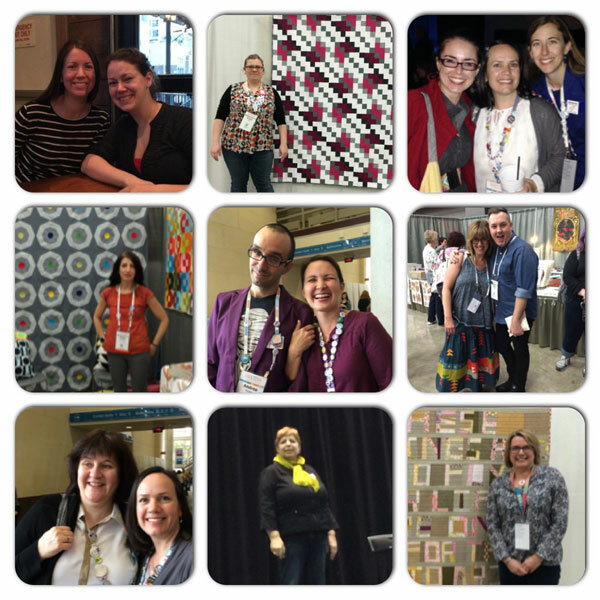 QuiltCon 2015 has been the most amazing event! It feels like a grand reunion of online friends who’ve never met! The quilts, lectures and social encounters are unlike any other show I’ve ever attended. 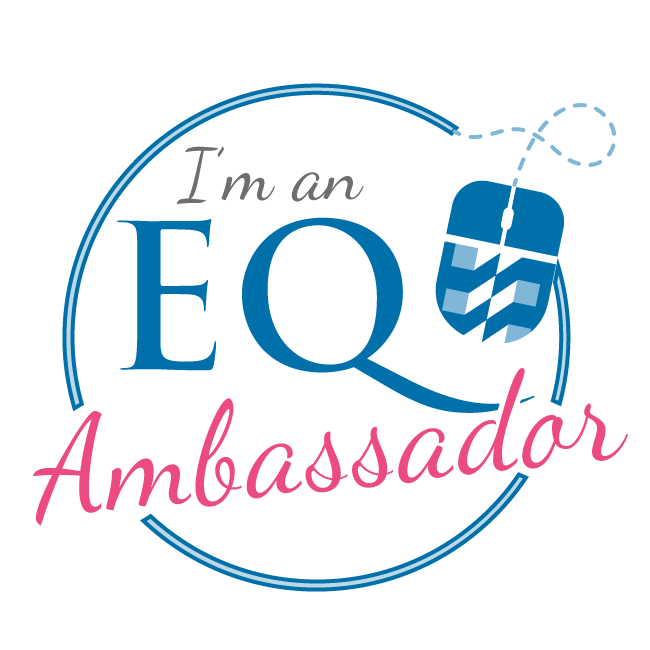 I’ve seen the most beautiful quilts, I’ve met the most inspiring people, and I’ve had the most amazing experiences! The picture below shows a small montage of some of the ribbon winners. 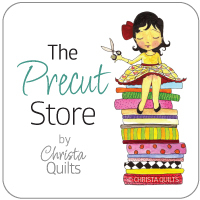 Click here for pictures and names of all the QuiltCon 2015 winners. QuiltCon is the largest display of modern quilts in the world! Cheryl Brickey (my roommate) and Amy Garro; Kristy Daum, Gemma Jackson, (me), Yvonne Fuchs, Malka Dubrawsky (Moda designer), Andres Rosales and Cristy Fincher; Daryl from Andover with Chris, The Tattooed Quilter, Leanne from She Can Quilt and me; Jacquie Gering, and Krista Hennebury. 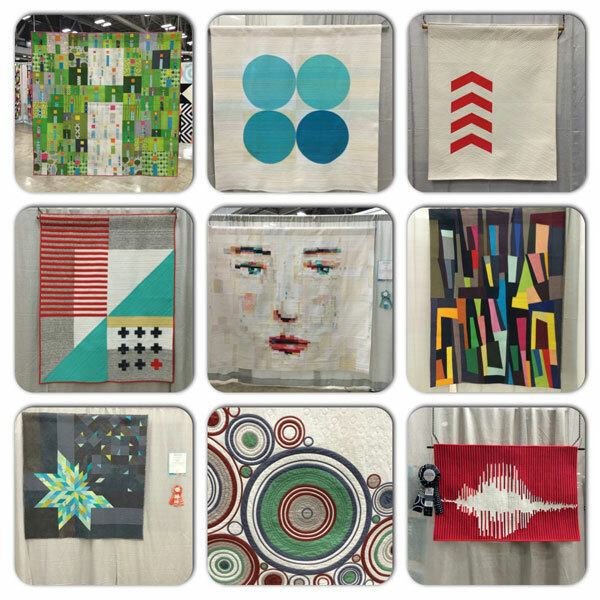 A Show like QuiltCon is more than about just quilts. Making connections and experiencing new things are all part of the fun! 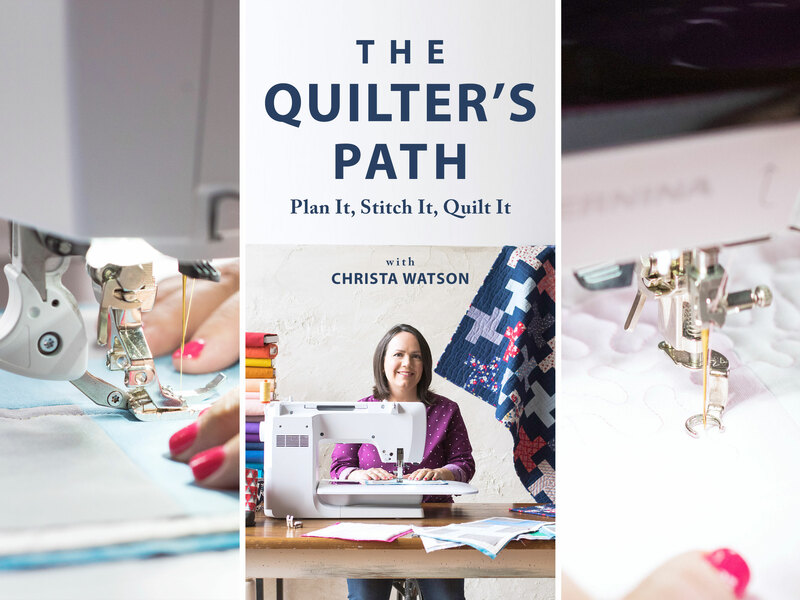 Coming full circle with Marianne Fons, from whom I bought my very first quilting book, and her daughter Mary Fons who published my very first quilt pattern in her magazine 20 years later! 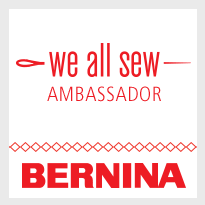 QuiltCon Pin Trading – such a fun way to remember everyone I met! Being interviewed to talk about Spiraling Out of Control by the Quilt Alliance project. Sharing Modern X as part of the special exhibits tour with Bill Volckening. Being asked to autograph a copy of QuiltCon Magazine in which 2 of my quilts from the show were featured – such a surreal moment! I was so happy you were on the first tour. The next two days, we also stopped and talked about your quilt, since you were kind enough to share its story. Thank you!! looks like you had a fabulous time. what a wonderful high to be on. Sounds like you had a wonderful time! Any chance you might share pictures of some of the pins that you trade? I’ve been loving seeing all the pics from there and so wishing I had been able to experience it too. Maybe next time. 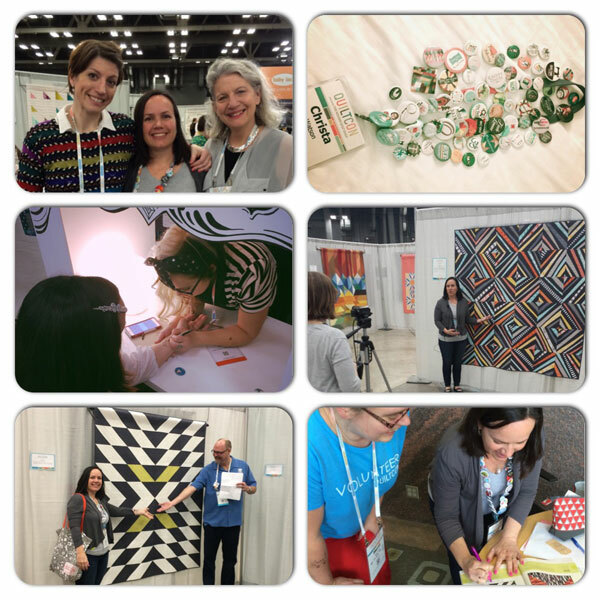 Wow, so so inspired by your pictures from the Austin Quiltcon, I can’t wait for the Pasadena / Quiltcon West. The Las Vegas Modern Quilt Guild is in great hands under your leadership, looking forward to all the fun things to come. Thanks Cecilia – so do I! Definitely putting this on my bucket list! What an awesome event to be at! Just want to thank you for all the posts. Have enjoyed seeing all the quilts on IG. This is one of those things I dream about. It looks like a wonderful experience. The pictures are great. Thanks for sharing Christa. Hope you enjoy your stay in Austin. 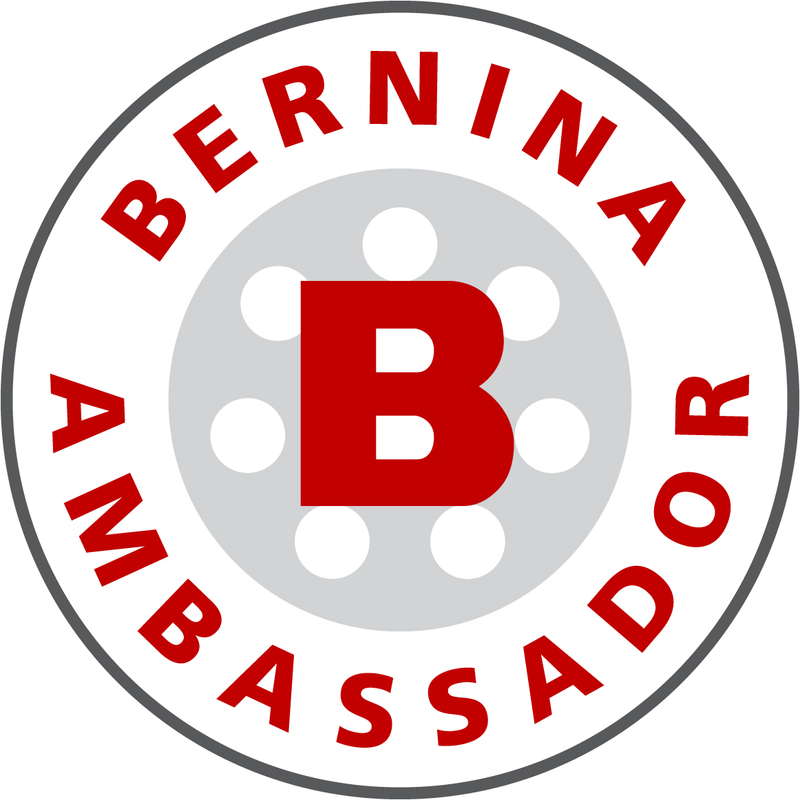 Living vicariously through you and your post – thanks! Sounds like such a fun event. So happy you shared the pictures and experiences. It does look like so much fun! All the pictures are amazing and make me smile. Its no wonder they had a hard time picking quilts for this event! Its been so great to meet you and talk with you. I agree that this has been a fabulous event!! Thank you for your recap and all the pictures! It must have been a wonderful experience to be together with all these driven quilters surrounded by so many unique and beautiful quilts, two of which being your own creations! !